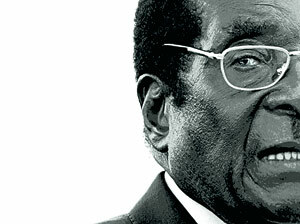 By forcing the opposition to abandon the election, Robert Mugabe has undermined his position. Mr Mugabe may cling to power for a while, but his grip is weaker. Zimbabwe needs help from the West. But most of all it needs its African neighbors to tell the tyrant unambiguously to go – and to snuff him out if he refuses. It can be done. Refuse to recognize any administration led by Mr Mugabe. The European Union, the United States and much of the rich world will ostracize him. Now is the time for Africa, especially the influential regional club of 14 countries known as the Southern African Development Community (SADC) to act. South Africa remains the key. Humanitarian aid must continue to flow into Zimbabwe, but targeted sanctions already enforced by the EU, the Americans and other governments against Mr Mugabe and 130-odd of his closest comrades, who are banned from visiting the penalizing countries and have had their assets there frozen. Depriving Mr Mugabe’s cronies of trips to a decent country that works could have a salutary effect. The African Union (AU), which embraces all 53 of Africa’s countries, should also be far more robustly involved. Unlike the SADC, which is often paralyzed by its search for consensus, the AU’s rules provide for decisions, specifically including the imposition of sanctions on errant members, to be taken by a two-thirds majority. The United Nations, too, must be ready to help. South Africa has been disgracefully blocking discussion of Zimbabwe in the 15-strong Security Council, of which it is a current member. Zimbabwe is a resource-rich country with a core of well-educated people, millions of whom have fled abroad and must be wooed back home. Mr Mugabe may cling to power for a while, but his grip is weaker.